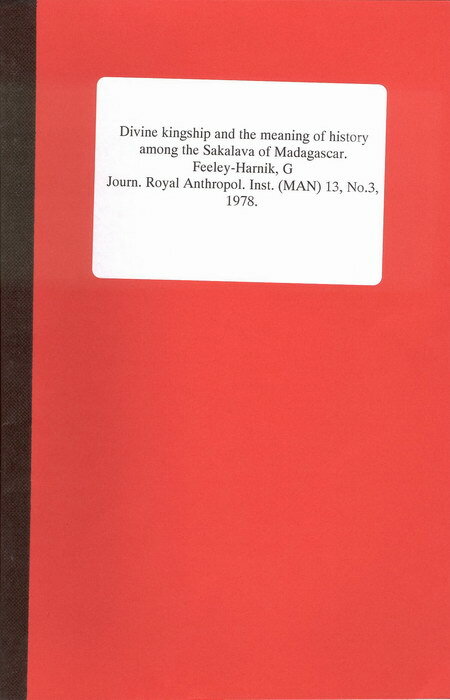 Journal of the Royal Anthropological Institute 13(3): pp. 402-417. Royal Anthropological Institute of Great Britain and Ireland (1978). Myth and history are not so different as was once thought. People may have different interpretations of the same 'historical facts'. History may therefore be used like myth to support alternative social programmes. Some would even argue that there are no 'historical facts', but only interpretations: that there is no history which is not purely existential invention, bound to the culture that perceived it. Why should some people have invented histories for themselves, while others have not? What is the significance of history itself as a form of classifying experience? In order to answer these kinds of questions, it is necessary to put histories into their particular cultural and social contexts, that is, to relate the creation and use of history to other ideas about time, persons, and things. Among the Sakalava of western Madagascar, history is a powerful embodiment of the royal ancestors who constitute the foundation of their system of government. The author is from Williams College. 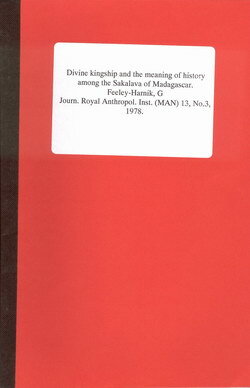 The "Journal of the Royal Anthropological Institute" was formerly called "Man".